My research interests focus on the intersection between the fields of Philippine historical studies and Japanese intellectual history, with particular attention to American hegemonic power. I have studied how this power, claiming liberty, democracy and development, regulates Japanese accounts of Filipino history and what kind of events have been excluded or dismissed from these accounts. For example, the Japanese paid much interest in Filipino history three times during the twentieth century, but this phenomenon has not been comprehensively studied. The first period was during the time of Philippine Revolution which followed the Filipino-American War at the turn of the twentieth century; the second one was at the time of the Asia Pacific War during the first half of 1940s, and the third one was in the 1970s during the Vietnam War, which turned into a mess by the intrusion of the US military power. Why did the Japanese become interested in narrating Philippine history during the particular wars which the US committed? This question directly reflects my academic position; why am I interested in studying Philippine history as a Japanese living in the twenty first century when the so called US wars against terror have occurred? Serizawa, Takamichi. “Japanese Solidarity Discourse on the Philippines during WWII,” Philippine Studies, vol. 63, no. 1, pp. 71-100, 2015. Serizawa, Takamichi. A Genealogy of Japanese Solidarity Discourse on Philippine History: War with America and Area Studies in the Cold War, Ph.D. Dissertation, National University of Singapore, 2013. This study will shed a light on a “change” aspect under the Japanese military administration (1942-1945) in the Philippine society by focusing on the interrelation between the issue of Filipino national language and their historical awareness. The need of a common language which could unify the nation language was a great issue for the Commonwealth government established in 1935. This task was contingently succeeded by the followed Japanese military administration. 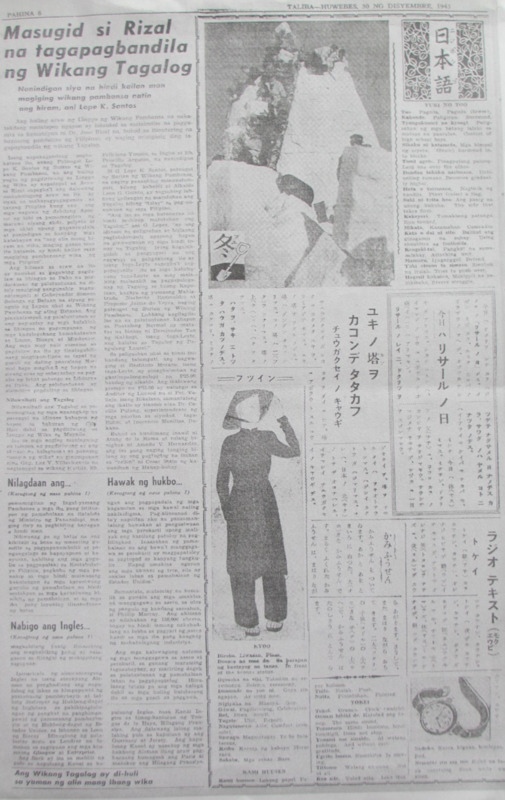 In order to “de-Americanize” Filipino people and circulate “pro-Japan” discourse, the Japanese military administration promoted Tagalog as the national language and attempted to underneath the supremacy of Spanish and English languages. 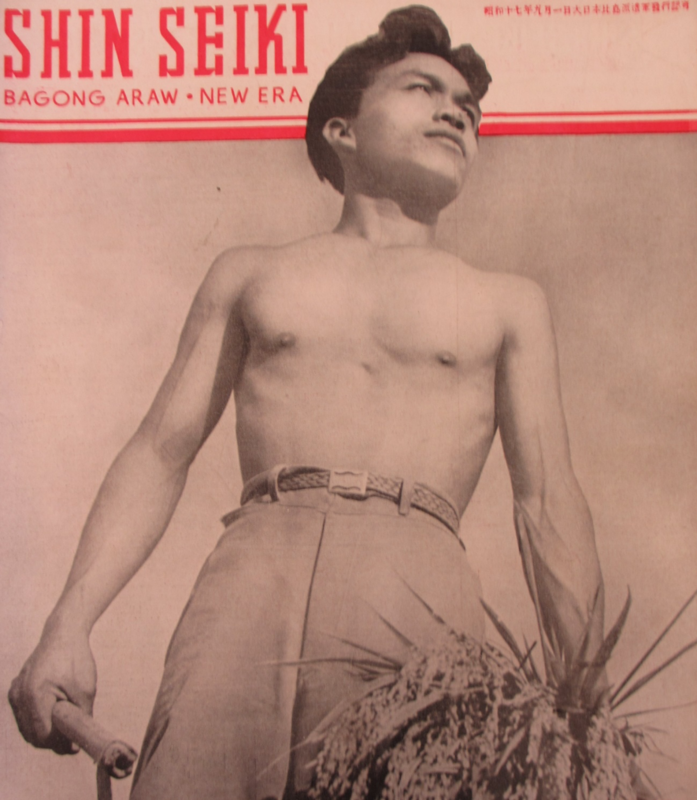 On one hand, this policy was the product of the Japanese ideology which welcomed Filipino people taking a part of “the Greater East Asian Co-Prosperity Sphere.” While on the other hand, the Tagalog texts appeared during the period invoked the criticism on the US material culture, skepticism on the Western development, and re-evaluation of peasant life. This study aims at revealing how this exhalation of Filipino nationalism during the Japanese military regime re-interpreted the event of Filipino revolution, which was seen as a “premature” uprising during the US colonial period, and what kind of new identities of Filipino people were searched by paying attention to their dilemmas shaken between West and East. This study aims at understanding how the idea of Communism was adopted and disseminated among the societies in colonized or semi-colonized Southeast Asia during the period between the two World Wars. The previous studies regarding the idea of Communism in Southeast Asia have employed the nation-state framework. They have distinguished capitalist group countries and socialist group countries and examined how the idea of Communism impacted or did not impact for their respective nation-building projects. In contrast with such trend found in the previous studies, this study examines the period of the 1920s when the idea of Communism was gradually introduced to the societies in Southeast Asia to the end of 1930s when Communism attained a large number of supporters due to the world economic crisis occurring at that time. By setting this period, we may able to focus on the similar experience of being poorer across the people in colonized and semi-colonized Southeast Asia. Furthermore, this study also aims at exploring the process how the idea of Communism, originating in Europe, was adopted and disseminated in Southeast Asia, endangering conflicts as well as fusions with “indigenous” beliefs and religions. Based on this conceptualization of the “indigenization of Communism,” this study attempts to explore the process of synchronization between Communism and local beliefs, Buddhism, Islam, Christianity or Confucianism. By doing so, we may able to extract the unique ideas of social reform in Southeast Asia.